I recently purchased a new hard drive for server at home. It’s faster than old drives, and is perfect for my Exchange server 2013 virtual machines. My existing environment consists of one Exchange 2013 CAS and two Exchange 2013 Mailbox servers in a DAG. I plan to built two multirole servers on the new drive and decommission old servers gracefully. I successfully installed two multirole servers name MBX3 and MBX4, and added them into existing DAG. I removed database copies off old mailbox servers MBX1 and MBX2, and made sure they are not owning any databases. I then evicted them out of existing DAG, so Exchange 2013 binaries can be uninstalled properly. MBX2 had no issue on uninstall process. MBX1 was throwing a fit during pre-requisite check with following error message. “Error: This Mailbox server is responsible for generating an Offline Address Book. Removal of Exchange Server isn’t permitted. The link takes me to a technet page that has yet to complete. 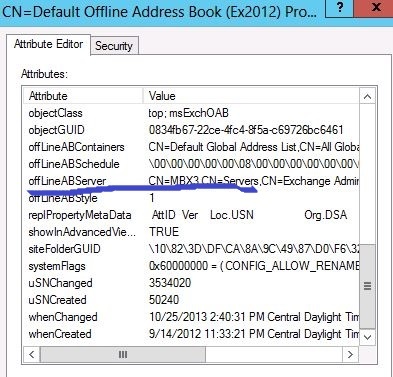 In Exchange 2010, moving OAB generation server was quite easy. All you had to do is run Move-OfflineAddressBook cmdlet, and wait for AD to replicate. 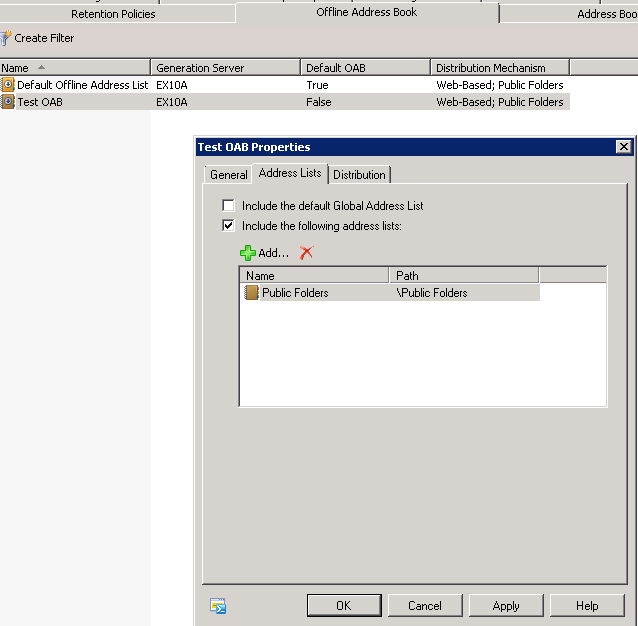 In Exchange 2013, Offline address book is now generated by a system mailbox. See blog post from Exchange Team here. First, i need to identify OAB generation server in a DAG environment. 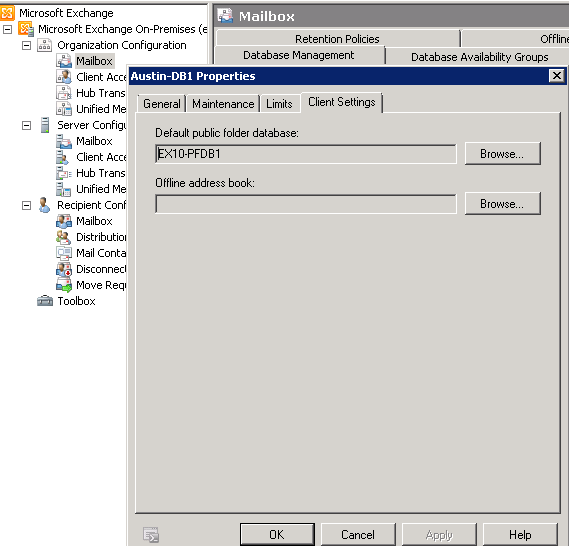 Step 1: Identify the mailbox database hosting organization mailbox with OAB Gen capability. The server that where the database is MOUNTED, is the OAB generation server. In my case, it shows the correct server MBX3. For kicks, I created a new standalone database on one of new server, and moved OAB system mailbox over with New-Moverequest cmdlet. Move was successful, however, the uninstall failed again with same exact error. OffLineABServer is still pointing to MBX1. After i manually changed it to MBX3, issue was resolved. Hopefully this will be fixed in the feature CU, that Exchange server setup ignores this setting,, and allows un-installation to succeed!